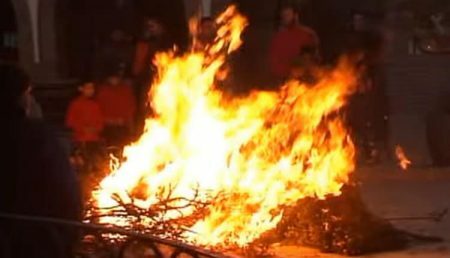 This Sunday (3rd February) Árchez celebrates one of its most popular fiestas, San Anton – in honour of its Patron Saint. 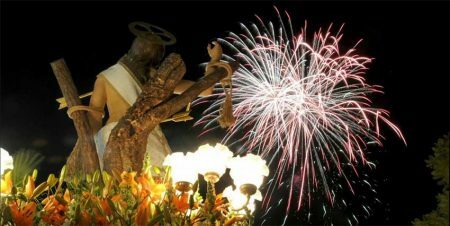 San Antón is also the Patron Saint of animals and many local people go along to the fiesta to get their pets blessed! For those without a pet don’t worry there is plenty to entertain with a craft fair, giant paella, horse racing and live music. See programme below..
9:00 am: A firing of rockets announce the start of the festivities. 11:00 am: Craft market in the Paseo del Río Turbilla selling local products. 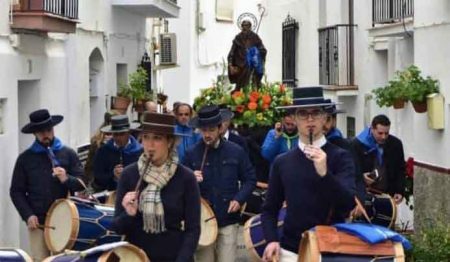 12:00 midday: After a service at the church there is a pilgrimage of San Anton, the blessing of pets, accompanied by a local band of drummers. 2:00 pm: Sample a giant paella which is cooked al fresco in a large pan on the Explanada del Rio Turbilla. 2:30 pm: Live music with Cuarteto Antídoto. 7:30 pm: Live music with the musical group Antidoto. San Anton was born in Egypt in the year 251. He gave away all his belongings to the poor and spent much of his time fasting in the dessert, accompanied only by animals. It is said that when he saw a wounded animal he would heal it, even removing the thorn from the paw of a lion. Due to his high regard for animals he became their patron saint. 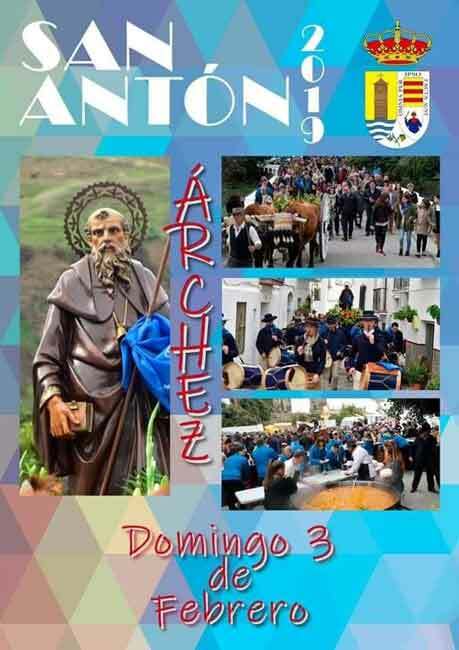 Árchez: is the smallest village in the Axarquia region, with around 450 residents. Situated in a valley between Cómpeta and Canillas de Albaida, in the foothills of the Tejada and Almijara, it is in a beautiful setting with the River Turvilla running through it. The narrow, winding streets with their picturesque white-washed houses show its Moorish origins.